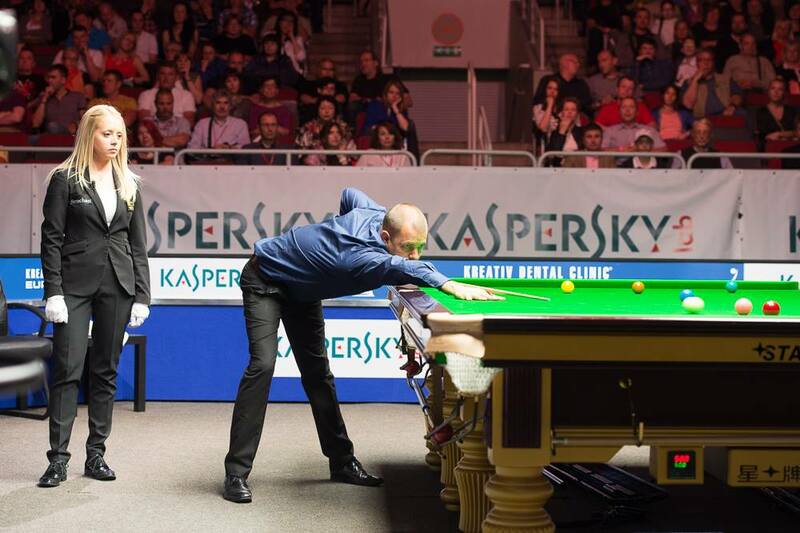 Barry Hawkins won the first Kreativ Dental Clinic European Tour event of the season, beating Tom Ford 4-1 in the final of the Kaspersky Lab Riga Open. World number eight Hawkins captured his first title since the Players Championship 16 months ago by winning seven straight matches in the Latvian capital. The former Crucible finalist pocketed the top prize of 25,000 Euros. In the final, Leicester’s Ford took the opening frame with a break of 67, before Ditton-based Hawkins levelled with a run of 65. He crucially won the third frame on the colours and then added the next two with top runs of 57 and 62. Hawkins, age 36, recently admitted that he decided not to enter the Australian Goldfields Open – the first ranking event of the campaign – in order to give himself fresh impetus for the season ahead, and his victory in Riga has justified that decision. “It feels great to win my first tournament of the season,” said the 36-year-old. “I had two months off and put my cue away. I made the most of the break and it seems to have paid off. Earlier in the semi-finals, Hawkins beat Graeme Dott 4-1 while Ford saw off Ben Woollaston by the same scoreline. The Kreativ Dental Clinic European Tour is a series of six events across the continent, with the top 24 on the final Order of Merit to qualify for the Players Championship. The next event is the Paul Hunter Classic in Germany from August 26-30.